Mike Noel, a little-known state Representative from Utah, is publicly campaigning to run the U.S. Bureau of Land Management. He has put his own odds of being selected to run the agency at “maybe better than 50–50.” Utah Senator Orrin Hatch has even taken to publicly lobbying for Noel. Rep. Noel would be an extreme pick to direct the BLM and, if selected, an early indication that neither Congressman Ryan Zinke — the nominee for Interior Secretary — or President-elect Trump are serious about upholding their promise to maintain U.S. public lands and fight efforts to dispose of American-owned lands into state and private hands. Below are the three top reasons Rep. Noel is absolutely ill-suited to lead the BLM. 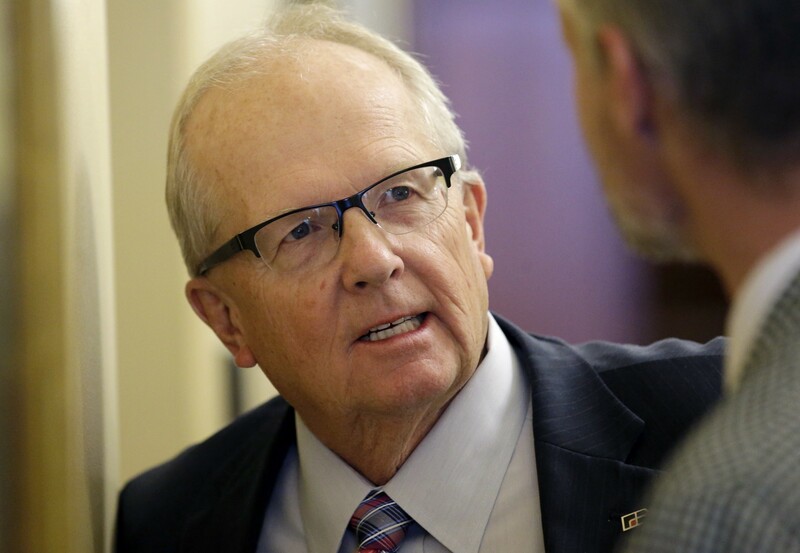 Rep. Noel is “a leader in Utah’s fight” against U.S. public lands who wants the state to continue pursuing legal and legislative options to compel the government to dispose of U.S. public lands, including national forests and wildlife refuges into state and private hands. If Rep. Noel was to get his way, hunters, anglers, and hikers would lose access to public lands, taking a backseat to oil drillers. In addition to his extreme views on public lands, he’s also actively and aggressively defended lawbreakers on U.S. public lands. He met with one of the extremists who led an armed occupation at the Malheur Wildlife Refuge last year. Rep. Noel also fought to use Utah taxpayer dollars to defend Phil Lyman, a county commissioner who was convicted for organizing an illegal ATV ride over sacred Native American sites. And, in the face of rampant looting and vandalism of Native American artifacts on public lands in Utah, Rep. Noel blamed the destruction on badgers. President-elect Trump said during the campaign that he doesn’t “like the [transfer] idea because I want to keep the lands great, and you don’t know what the state is going to do. I mean, are they going to sell if they get into a little bit of trouble?” It is widely understood that the president-elects firm support for U.S. public lands comes from his sons, both avid sportsmen who understand the importance of protecting America’s public lands legacy. In selecting Congressman Ryan Zinke to lead the Interior Department, the President-elect found an ideological kin who’s is vehemently opposed to wholesale transfers of U.S. public lands. Rep. Zinke is an avid hunter and outdoorsman and his support for protecting and enhancing access on U.S. public lands is a key part of his political DNA. The congressman even resigned as a delegate to the RNC convention in protest over the GOP’s position on public land transfers. The new BLM director will be one of the most important members of Rep. Zinke’s team at the Interior Department. Whoever is selected to run the BLM must share President-elect Trump and Rep. Zinke’s commitment to preserving and protecting U.S. public lands. On this key point, Rep. Noel fails the test. The BLM is a science-based agency. But Rep. Noel has shown a deep disdain for science. Take climate change as an example. While Republican orthodoxy allows politicians to deny climate change, Rep. Noel takes his denial to a strange and conspiratorial level, revealing a dangerous lack of scientific understanding. Latte drinking forester. Sagebrush rebel. Western politics. Public lands owner.